These are vintage lucite beads. 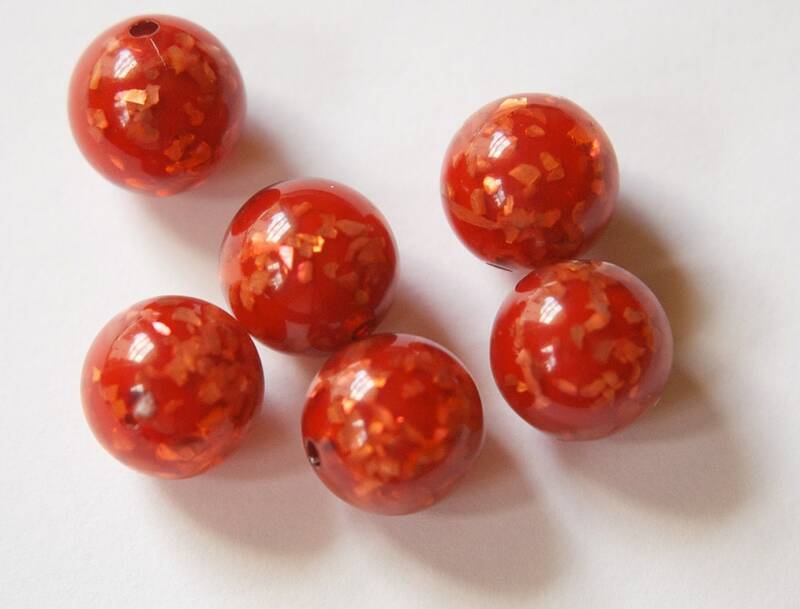 The bead is a brownish orange color with little glitter size pieces of Mother of Pearl floating throughout. These measure 12mm. You will receive 6 pieces. These are a little less orange in appearance in person. I have these in other colors and a larger size. unique ! Very nice !